So I got through to the top 30! Woohoo! Now there are 9 days to vote to determine the final 10 who will get a regular spot on the Geek & Sundry channel. Don’t forget you can vote once a day! Anyway here’s the link to my second video. 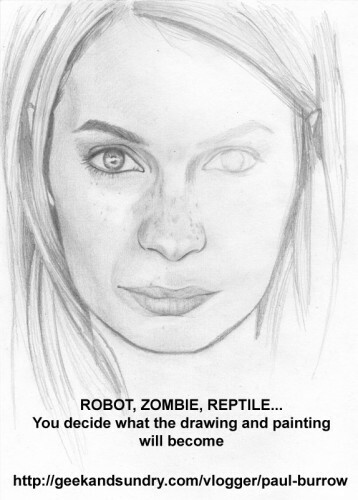 This follows on from my first where I drew Felicia Day. Because of your votes you decided she should be painted as a robot. This is the video I created while I did it! Thanks for watching and voting!